The Krystal Company is a chain of fast food restaurants in the Southeastern United States that specializes in hamburger sliders. The restaurants serve breakfasts, fried chicken, cake donuts, and more inside or at the drive-thru. You can find a link for a Krystal application by to their website through the application links below. The company was founded in Chattanooga, Tennessee in 1932 by Rodney Davenport Jr. and J. Glenn Sherrill. The business thrived despite beginning during the Great Depression due to its business model of serving good food at very low prices from sparklingly clean restaurants. The company’s name is meant to invoke the image that the establishment is crystal clean. After 80 years of being headquartered in Chattanooga, the business moved its headquarters to Atlanta, Georgia, where it is today. The private company is a wholly owned subsidiary of Argonne Capital Group. Its president and CEO is Douglas R. Pendergast. The restaurant chain currently operates more than 360 locations and employs over 6,500 people. The business is the second oldest quick service restaurant chain in the country. The chain hosted the Krystal Square Off, a hamburger eating contest, for several years in the 2000s. The winner was the contestant who could consume the most burgers in eight minutes. ESPN2 started televising the event in 2006. The restaurant chain offers career opportunities at the corporate level, operations management level, and operations crew level. The business also offers franchise ownership opportunities. If you are interested in franchising opportunities, you can use the link under the applications links at the bottom to go to the website. You will find an email address at the site for more information on franchise ownership. You can find postings for available jobs at all levels on the company website. Entry-level and in-store positions offered are Crew Associate, Shift Leader, Assistant General Manager, and General Manager. Dozens of job opportunities are listed at the careers section of the company’s website. Use the website to see if your local restaurant is hiring. How old do you have to be to work at Krystal? You must be 16 to work at Krystal. Positions other than Crew Associate will require some experience. You will be able to read a job description and find out any requirements when you use the online application system at the website. Benefits of working for the company at crew level include food discounts and promotion opportunities. Management includes paid time off and 401(k). Corporate employees enjoy all of that along with a generous salary. Store hours vary by location. Sunday through Thursday 6:00 AM to 9:00 PM, Friday through Saturday 6:00 AM to 11:00 PM are typical hours. Some locations are open 24 hours. Crew Associate – Crew Associates prepare food, take customer orders at the counter and the drive-thru, serve food, run the cash registers, clean the dining areas, bathrooms, and kitchen, and create a welcoming environment for customers. Full time salary for this position is around $19,000 per year. Shift Leader – The Shift Leader supervises Crew Associates and makes sure the restaurant is being run according to company standards. This position includes administrative tasks like ensuring product quality and controlling inventory. The Shift Leader acts as a Manager when no Manager is present, as needed. Salary for this position is roughly $21,000 per year, at full time. Assistant General Manager (AGM) – The Assistant General Manager assists the General Manager in the daily responsibilities of running the restaurant, including ensuring that the business is in compliance with all applicable laws. The AGM also conducts interviews and trains Crew Associates and Shift Managers, and keeps the staff motivated. Salary for this position is around $30,000 per year. General Manager (GM) – The General Manager hires and leads the rest of the restaurant staff, keeping them motivated and inspired. The General Manager also ensures that the restaurant is meeting all company criteria, including financial objectives, compliance with laws, and standards of cleanliness. Salary for this position averages around $35,000 per year. How much work experience do you have in the restaurant industry or in customer service? The business does hire people with no previous work experience as Crew Associates. Prior work experience will help you to stand out from your competition. You may be offered better pay or a better position. How did you hear that we were hiring? Your interviewer will want to know if you heard about the position through another person, a print ad, or online. Let them know how you heard about the job offering. You can apply for jobs at Krystal by going to their website, below. Do you meet the legal requirements to work in the United States? The company needs to know that it is not breaking any laws by hiring you. Make sure you have your driver license or any other ID or paperwork you might need to prove your legal status to work in the U.S.
What are we likely to find out about you when we run a background check? The quick service restaurant will run a background check on all potential hires. A legal conviction won’t necessarily bar you from employment. The business will consider the circumstances of your case, and the amount of time that has passed. Will you pass a drug screen test? You will have to pass a drug test to be considered for employment with the restaurant chain. Be sure that you will pass that test before you fill out a Krystal application and go through the interview process. The company wants a drug free work force. Remember to bring any documents or references you might need with you to your interview for Krystal jobs. Be punctual, and don’t forget to shut off your phone. You will not be able to download application form or get a printable application form for Krystal careers, but you can apply online. If you would like to know how to apply for Krystal online, go to the website below. You can browse all available jobs, read descriptions of each, and use the direct application process to apply. You can upload your resume and cover letter if you wish, after you fill out the required application form. 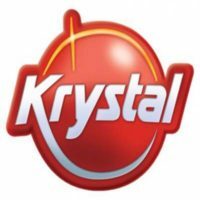 While there is no printable application for Krystal, you can apply for Krystal jobs online by going to the website and using the free application process. Each job has an attached application form. You may apply for more than one position by filling out applications for each one that interests you.